The pro-talks faction of the United Liberation Front of Asom ULFA came to New Delhi on August 5 to hold talks with Home Minister P Chidambaram. Led by Chairman Arabinda Rajkhowa. The team included Vice chairman Pradip Gogoi, Deputy Commander-in-Chief Raju Baruah, Foreign Secretary Shashadhar Choudhury, Finance Secretary Chitraban Hazarika, Cultural Secretary Pranati Deka, Publicity Secretary Mithinga Daimary and political ideologue Bhimkanta Buragohain. They presented a charter of demands to the Govt., which according to sources include a special constitutional status for Assam and control over local resources. Before leaving for Delhi, Rajkhowa told reporters at the Lokapriya Gopinath Bordoloi International airport, Guwahati, We have prepared a charter of demands, which we finalized in our recent meeting in Nalbari. The charter does not include the call for sovereignty. Sounding confident of a positive outcome of the talks he then piped up with Anup Chetia should be brought back to India so that he can take part in the talks. Chetia alias Golap Barua, is a cousin of Paresh Baruah, whose views against talks have been repeatedly reported. While Paresh Baruah leading the anti-talk faction has so far opposed any negotiation with the government, saying There cannot be any dialogue until the government agrees to discuss ULFA’s demand for a sovereign Assam, Rajkhowa reportedly claims, So far Paresh Baruah has not opposed the peace process and we hope that he will come and participate in the talks. This, as brought out earlier in this news site, only means that the two are most likely in touch. On Chetia’s extradition, Bangladesh Home Minister Sahara Khatun said, I don’t think there is any obstacle in handing him (Chetia) over to India … but definitely, there are procedures in extraditing someone who is in jail. On 08 September 2011, Paresh Baruah was reported to be been injured in a shootout with Myanmar army in the north west jungles of Burma, while he was with a group of Manipur’s Peoples’ Liberation Army (PLA) terrorists also hiding there. In an email sent on 08 September 2011, Paresh Baruah claimed that Myanmar army had targeted the joint base of several militant groups from the northeast with direct help from Indian government, including heavy armaments and other military hardware. Appealing to the people of Assam to extend support to the outfit, the e-mail also claimed that the Indian government has been pursuing all its neighbors to flush out ULFA militants from their territories. In 2003 it was Bhutan, which got Rs 1000 crore aid from India in reciprocation. Then came Bangladesh where India has pledged a loan of 1 billion US dollars. We have information that New Delhi has given an aid of Rs 2000 crore to Myanmar, Baruah is reported to have said adding that it wanted to wipe out ULFA so that it could continue to exploit the rich natural resources of Assam without any obstruction. Meanwhile, in a press release issued by the Publicity Commander of the ULFA’s hardliner group, Arunodoy Dohotiya said that the Government of India paid substantial amounts of money to the neighboring countries to launch attack on the ULFA’s bases. This release stated that the Government of India gave financial assistance of Rs 20,000 crore (as against Rs. 2000 crore mentioned earlier) to Myanmar along with weapons to take action against the Revolutionary groups and that it also promised Rs 100 crore more if Paresh Baruah can be killed within September, the ULFA alleged. Paresh Barua has also interestingly commented that India is trying to please Bangladesh with a border land swap deal to get custody of the insurgent group’s General Secretary Anup Chetia. Bangladesh is trying to hand over Chetia against his wish and India is going overboard to please the neighboring country by signing the land swap deal in return. Baruah also criticized Assam chief minister Tarun Gogoi for not protesting the proposed land agreement, which would allegedly alter the geographical map of the Indian state. India, is quite aware that the land swap deal would alter the map of Assam and this fact is well known to Tarun Gogoi. But instead of opposing the move, he is accompanying Prime Minister Manmohan Singh to witness the signing of the agreement, Barua said and urged Gogoi to keep himself away from being a party to the conspiracy of land exchange and also asked people to protest against this move. This is indeed ironic as Baruah heading the undivided ULFA while he was ensconced in Bangladesh for almost two decades helped the process of demographical change in eight districts of Assam, by catalyzing the illegal influx and ensuring that the illegal entrants get settled. Baruah was known to be enjoying the patronage of the previous Bangladesh Nationalist Party government in Bangladesh, had to face reverses and was forced to flee during a clampdown on Indian militants by Bangladesh authorities after Awami League returned to power. Apart from his many criminal and anti-India rackets and activities, he is one of the co-accused in smuggling 10 truckloads of arms and ammunition to Bangladesh, which were seized from a jetty of Chittagong Urea Fertilizer Ltd (CUFL) in the port city on April 2, 2004. 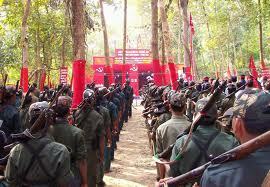 The weapons, reportedly meant for terrorists in the northeast, were allegedly ordered by Baruah. However, as far as Burmese Army’s operation against Indian insurgent-terrorist groups hiding in the Taga region of Burma, authoritative home ministry sources told that it was eyewash conducted after tip-offs to Indian insurgent-terrorist leaders about their proposed operation. Burmese Army had reportedly informed these groups at least a week before the operation, that they were entering Taga region on September 6-7. The sources also referred to a press statement emailed by ULFA on September 7, in which the outfit claimed that the Burmese Army had launched an offensive against them in the morning, whereas it reached Taga area only on 7th evening. Security agencies keeping a close watch over developments in the border area had corroborating intercepts that there was no Burmese Army activity in Taga area till 3.30 pm on 7 September. The security sources said they suspect the Burmese Army colludes with Indian insurgent leaders and that they have wireless communications intercepts indicating that the rebels had shifted to new locations a day before the Burmese Army fired on deserted camps. The sources said the Burmese Army routinely carries out cosmetic operations before thrice-a-year bilateral meetings with India and then claims to have cleaned up territory occupied by Indian insurgents. 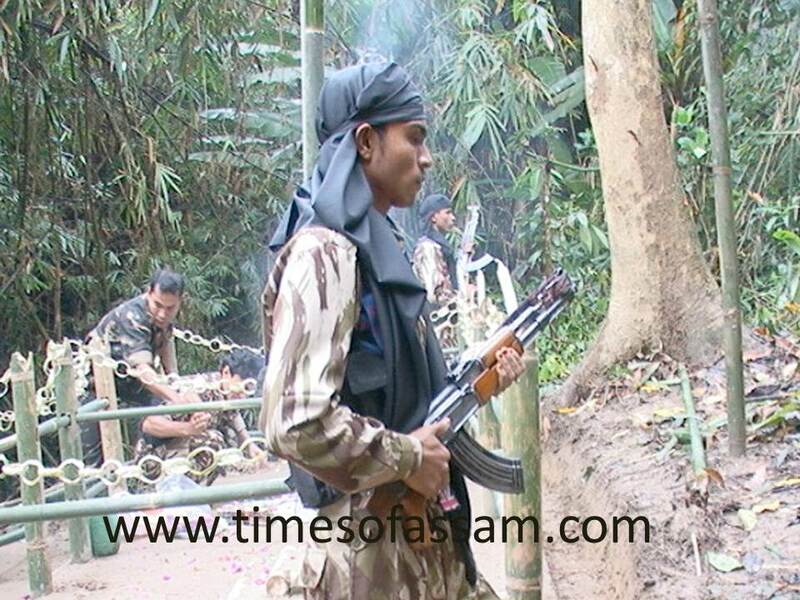 Apart from Operation Golden Bird conducted in 1995, when 40 terrorists were reportedly killed and about 200 captured, quite often in past years Myanmar army has made a show of launching operations without actually doing any damage to the groups camping there. India has a 1,630 km border with Burma. Insurgent groups such as the United National Liberation Front (UNLF), the People’s Liberation Army, and Naga and Kuki forces are active in four border states—Arunachal Pradesh, Nagaland, Manipur and Mizoram. Trafficking of drugs and guns is carried out by Burmese Kachin, Wa and Shan armed ethnic groups and by Chins in western Burma. They had reportedly also smuggled forged Indian currency into India. Lt Gen NK Singh, former GoC of the Corps headquartered at Dimapur is reported to have stated to media some time in 2009: There have been quite a few seizures of small arms and drugs in recent months. Most of those involved were Chins, who have the advantage of looking like the Mizos of Mizoram and speaking a similar language. Min Tang, a member of the Chin National Council in India’s Mizoram State, had reportedly said about 1,000 UNLF members lived on the Burmese side of the border. He said they traded heroin and Chinese-made weapons with the Chin—and he accused Burmese officials of accepting bribes to allow the trade to continue. In Manipur UNLF and other groups have often in the past made great shows of burning heaps of lower variety of drugs to project themselves as principled insurgents against anti-social activities etc. Indian attempts to stem the trade and curb the insurgent groups have so far met with little success. Since 1993, the Indian government has developed a closer relationship with the Burmese junta, engaging in increased trade and providing it with military hardware. The Burmese government has agreed to support Indian attempts to combat the insurgent groups and their illegal trading, but says it is difficult to access border areas because of poor roads. The National Investigation Agency and Intelligence Bureau had made good gains and progress in the recent past by apprehending UNLF Chairman R K Meghen and NSCN-IM’s key China link-man Antony Shimray. Capturing Paresh Baruah, will be lead to a large amount of information about many of ULFA’s businesses and anti-India operations. 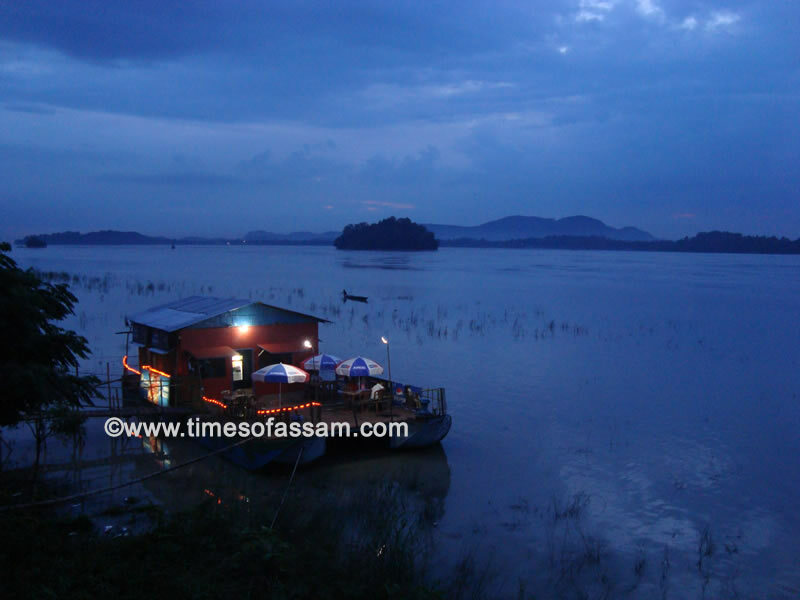 Disclaimer: The views expressed in this article are those of the author and Times of Assam is not liable for any remarks or comments made by the Author.